HARRY Potter author JK Rowling got her wand out to scold musician Tinie Tempah after he quipped that she should go back to magic school. 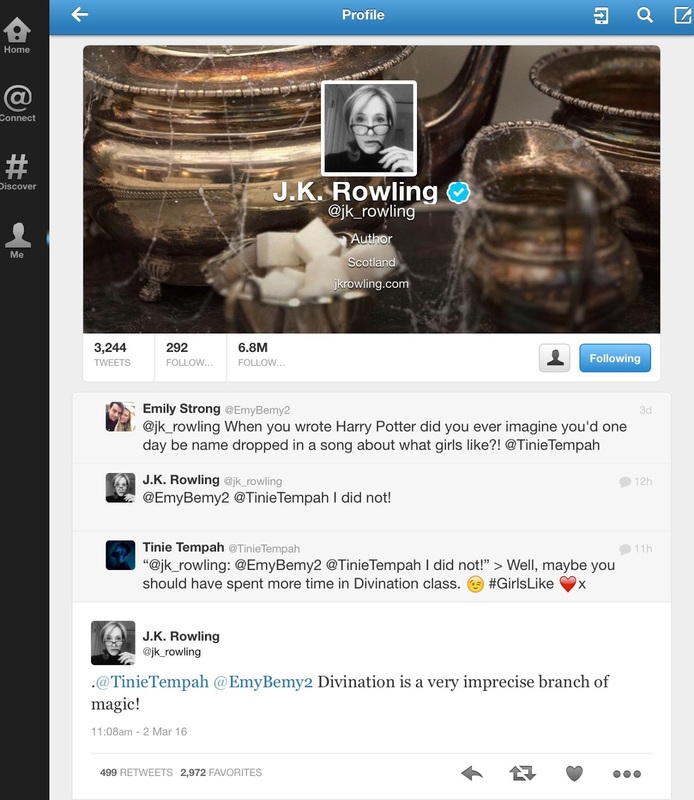 The Edinburgh based author behind the book and film franchise was having some banter with fans on her Twitter account when Tinie, who's new song Girls Like includes the line 'Tell J.K that we still rolling', decided to test her humour. After a fan asked if she'd ever imagined that she'd be name dropped in a song about what girls like, JK confessed: "I did not" . Tinie, who was clearly in the mood for a verbal joust, then decided to challenge with his own wizardly humour. 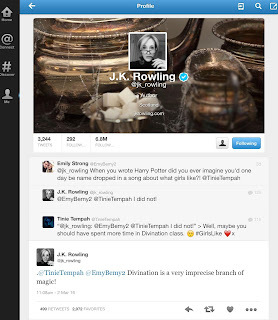 He told JK: "Well maybe you should have spent more time in Divination class #girlslike." JK, who has bewn known to debate with more than a few celebs in her time, didn't take his cheek sitting down and she responded rather dryly: "Divination is a very imprecise brand of magic!" We think he-who-must-not-be-named has met his match. JK meantime has just confirmed Fantastic Beasts and Where to Find Them will form part of a trilogy of movies.